Efficient prediction of electronic properties of semiconductors is a cornerstone in the rational design of materials for various technological applications, including optoelectronics, photovoltaics and catalysis. 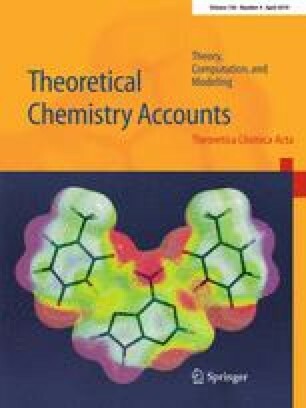 Topological analysis of electron density is a powerful tool to unravel the correlations between the composition of isostructural compounds and their electronic properties. Resorting to this approach in theory or in experiment requires an elaboration of descriptors connecting the composition with the electronic structure characteristics. In the current work, the application of chemical topology for prediction of band gaps is illustrated for the model systems of perovskite compounds. The correlations between the band gaps and the electron density at the bond critical points are established, enabling the construction of composition–property maps. The procedure applying PBE-based descriptors for evaluation of the band gaps, calculated with resources-demanding methods, such as hybrid functionals or GW, is outlined. Finally, it is demonstrated how topological indices can be used to predict the band gaps for yet unsynthesized materials on the basis of available experimental data for isostructural compounds. We acknowledge PRACE for awarding us access to Curie at GENCI@CEA, France and Irene at GENCI@CEA, France. We are grateful to CSC center (Finland) for providing HPC resources.